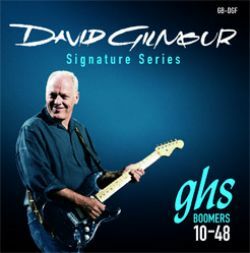 David Gilmour's connection with the GHS Boomers® series goes back to 1979, when he started using them on Pink Floyd's "The Wall" project. He uses the 10-48 set on his Fender Stratocaster™, and our 10.5-50 on his Gibson Les Paul™. These products are our current recommendations for you. These are our current best sellers.